In October 2016, Clowns Without Borders Spain visited Ivory Coast to bring joy to refugees there. 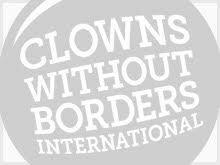 In 2013, Clowns Without Borders Spain went to the Ivory Coast to perform 15 shows for 5200 internally displaced people on the west side of the Ivory Coast and in Abidjan. In 2013, Clowns Without Borders Spain went to the Ivory Coast to perform 19 shows for 8270 internally displaced people on the west side of the Ivory Coast and in Abidjan. In 2012, Clowns Without Borders Spain went to the Ivory Coast to attend internal displaced population in Abidjan and the West side near to Liberia. They performed 22 shows for 16,415 people. In 2012, Clowns Without Borders Spain went to the Ivory Coast to attend internal displaced population in Abidjan and the West side near to Liberia. They performed 26 shows for 13,059 people. In 2010, Clowns Without Borders Spain returned to the Ivory Coast to continue their original shows for children in schools in disadvantaged neighborhoods. They performed 18 shows for 3700 people. In 2010, Clowns Without Borders Spain returned to the Ivory Coast to continue their original shows for children in schools in disadvantaged neighborhoods. They performed 13 shows for 7667 people. 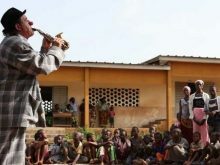 In 2009, Clowns Without Borders Spain went to Ivory Coast to perform shows for children in disadvantaged places and schools, and in favor of mentally ill people. They performed 22 shows for 18,980 people.